There are days in the saddle where a jacket would count as overkill, yet it’s still too cold to dress like it’s full-on summertime. And for the colder version of these kind of days, we created our Therminal™ Arm Warmers. They have a construction that’s comprised of our Therminal™ fabric, which is designed to both insulate and manage moisture buildup. To do so, it has a brushed fleece interior with a light loft that pulls moisture away from skin to evaporate it at the material’s surface. This loft also has the added benefit of insulation, which occurs by trapping tiny pockets of warmth between the skin and the fabric. At the exterior, you’ll find light levels of wind and water protection that’ll leave you riding comfortably through mixed conditions. 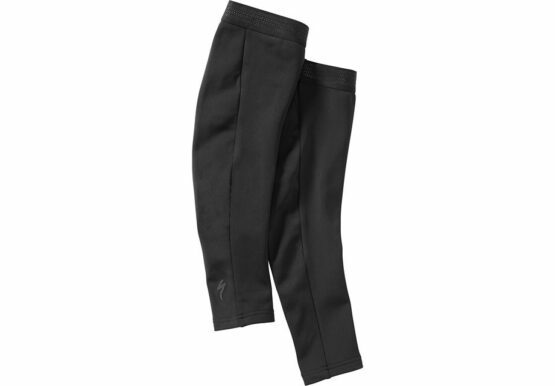 As for fit, the warmers have an articulated design that conforms to your arms and the various positions and movements they go through while cycling. And to ensure that they stay set where you want them, we’ve included fold-over cuffs with a light silicone print to gently hold them in place.